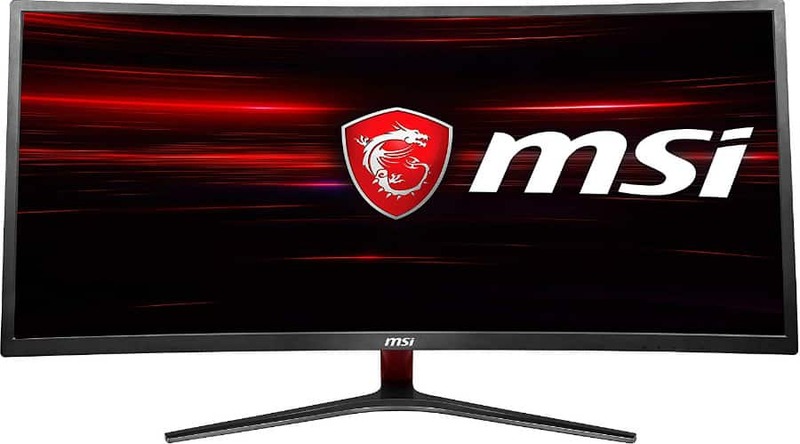 The MSI MAG341CQ is the cheapest 3440 x 1440 ultrawide we have come across which makes it a very attractive proposition for gamers who enjoy immersive visuals. The device costs half of what its 100Hz brethren cost when they launched which is more or less on par with what a 144Hz QHD monitor costs today. The MSI MAG341CQ offers excellent value per dollar spent, but what kind of performance numbers does it offer? The MSI MAG341CQ is part of the brand’s budget line which includes models like the MSI G27C, so its no surprise that they share the same aesthetic traits. The monitor sports a matte black design except for the stand’s upright that has a metallic red finish. The monitor isn’t bezel-free, but the slivers of plastic are thin enough not to cause any distractions. We thought the MSI MAG341CQ pushed its price point too far which is almost guaranteed to affect its quality in some ways. Surprisingly, the product still offers excellent robustness and build quality which ensures that it won’t crack or break down with normal use. The bad news is you need a screwdriver to put everything together since the device ships disassembled. IUt’s worth noting that you have to deal with stiff and tiny OSD buttons when trying to manipulate the MSI MAG341CQ’s OSD. We didn’t expect joysticks or puck remotes considering the price of the monitor, but it would have been nice if MSI at least improved this tiny bit on the product. However, the biggest hit the MSI MAG341CQ has to take to meet its current retail price point is its functionalities which some consider crucial. The included stand looks solid and durable, but it can only provide twenty degrees of tilt. The mechanism is a fixed feature of the monitor since there are no VESA mount holes at the smoothened out rear panel, leaving no room for aftermarket mounts. The MSI MAG341CQ’s I/O layout falls within acceptable limits since it includes a DisplayPort 1.2 and dual HDMI 2.0 connectors for your host devices. There is also a DVI slot for legacy systems, but we figured that it wouldn’t see a lot of use for a monitor like this. What the panel could use is some USB receptacles for accessories, but sadly, they were included in the omissions dictated by the cost-cutting. The package also doesn’t include built-in speakers or even 3.5mm audio jacks, so you do have to factor in the cost of a separate set if you are building a new gaming station. Not that it matters anyway since most users would prefer headsets for better immersion and communication. We also think that the exclusion of audio drivers is the most forgivable of the sacrifices the MSI MAG341CQ had to make. 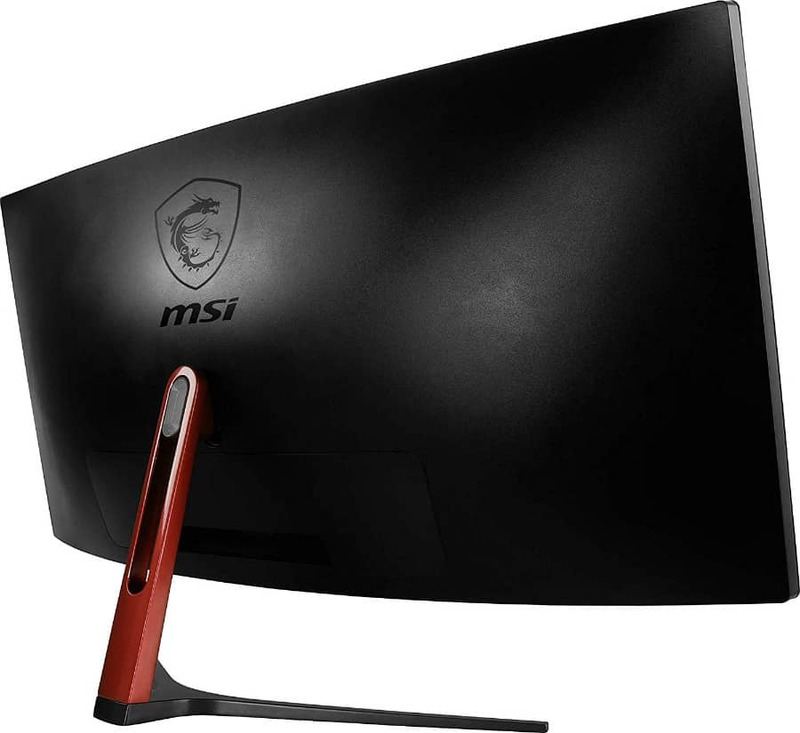 The MSI MAG341CQ sports a 34-inch curved VA panel with a 3440 x 1440 resolution, 100Hz refresh rate, and 5ms response time. The bargain display has a 3000:1 contrast ratio and a worrying 250cd/m2 backlight which is too low for the product’s intents and purposes. The curve radius of the screen is at an aggressive 1800r which will produce a feeling of envelopment and immersion for the user. The MSI MAG341CQ isn’t meant for professional applications due to its screen’s bias for eye-popping colors instead of spot-on accuracy. The VA panel is able to produce 118% of the sRGB color psace, but its accuracy sits at Delta E 2.9. The display’s focus on extra vibrancy pushed the shades to higher points of error, but most users would be hard pressed to distinguish the flaws. Another contributing factor to the MSI MAG341CQ’s lower accuracy result is its gamma which tracks closer to 1.8 than the ideal 2.2. What’s great is you can easily correct this by locking the gamma at its 2.2 setting in the OSD, followed by dropping the contrast slider by a few clicks. It’s also ideal to tweak the RGB color temp to your liking if some reds and greens are readily visible when viewing content. The good news is that these flaws are less apparent when you play games like Apex Legends or Rainbow 6 Siege which takes advantage of the 2550:1 contrast the monitor reaches. This characteristic coupled with the extra color pop create a level of depth imaging experts will not like, but gamers can and will appreciate. The only real downside of the MSI MAG341CQ is its backlight which failed to even reach 250 cd/m2 and could only provide up to 215 cd/m2 at 100%. Panel uniformity is one of the utmost concerns when buying ultrawide monitors, especially the curved models. The MSI MAG341CQ showed as much as 15% deviation from the center, showing one of the weaknesses of the backlight used. At least colors are not affected when the display is properly calibrated for your personal environment and the variance between the quadrants in brightness is less apparent when games are on screen. However, what surprised us the most is the MSI MAG341CQ’s quicker pixel response time which made it handle motion with aplomb. The screen’s 100Hz limit did not present itself as a limitation when comparing the product to 120Hz variants from brands like AOC. Blurs and ghosting are not an issue if you can run games close to the games refresh rate, but you can still expect some minor trailing or smudging from time to time. The MSI MAG341CQ is a FreeSync monitor with a functional range of 48Hz to 100Hz if you use an AMD GPU. 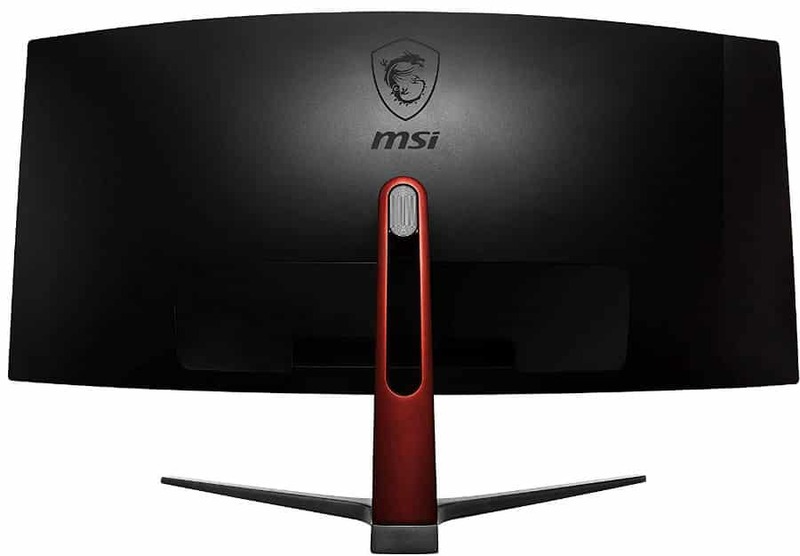 MSI has mentioned that this monitor is included in their list of G-Sync compatible monitors, but it has only been tested with RTX 2070 and higher GPUs. The monitor’s input lag sits at 15ms which isn’t bad at all since most ultrawides fall near this average and is generally unnoticeable to most. We love what the brand is trying to achieve with the MSI MAG341CQ and its smaller siblings when it comes to pricing. Their displays’ popularities are rising non-stop since they offer compelling specifications and capabilities without hurting your wallet. The 3440 x 1440 display with a gaming-focused output below $500 equates to tremendous value as far as enthusiast displays go in the market. The MSI MAG341CQ is a great buy, but we think some would find it difficult to live with the several limitations the price cut has included. The image quality flaws can be easily fixed according to preference, but you will be stuck with a massive tilt-only display if you decide to go this route. However, we’re willing to forgive all that since the MSI MAG341CQ is such a steal considering its a QHD ultrawide with an extended refresh rate.